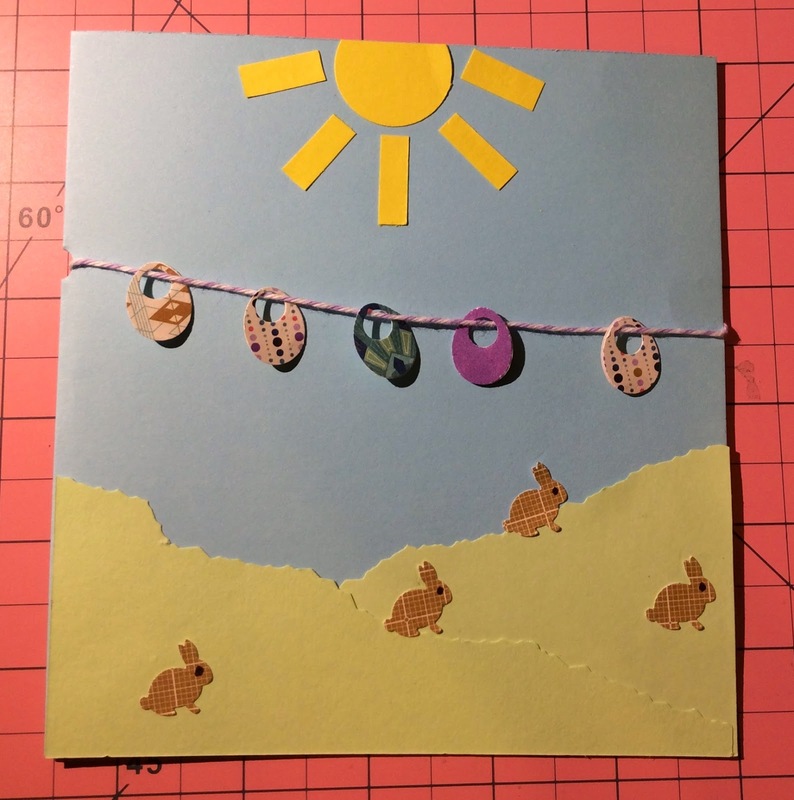 Well, everyone, I couldn't help myself, and I made one more Easter card and an extra that looks similar to one I posted last week. 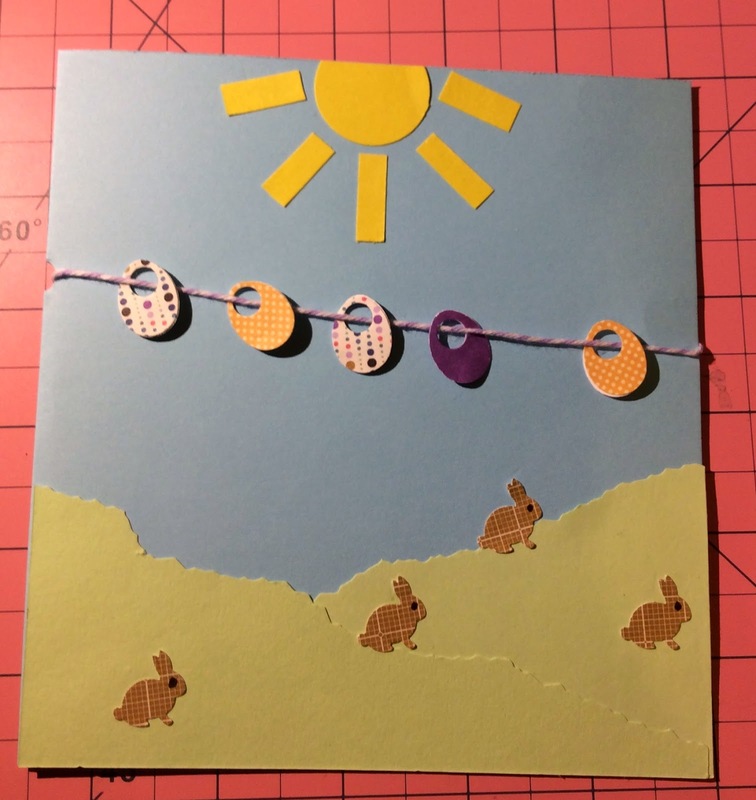 I again used the basicgrey Aurora 6 x 6 paper pad and the EK tools Bunny and Egg Punch Set, Mini. I just had this idea for eggs on a string, sort of like a clothesline and had to see how it would come out. I made the eggs double-sided so if/when they flipped around on the twine, they would show a different pattern. I took pictures of both sides. I think I might do a few things differently in the future, but I like how the card ended up. Initially, I was going to make pretty much the same little card I posted last week for a different friend, but decided she might especially like a journal and went with it. Those bunnies are adorable! 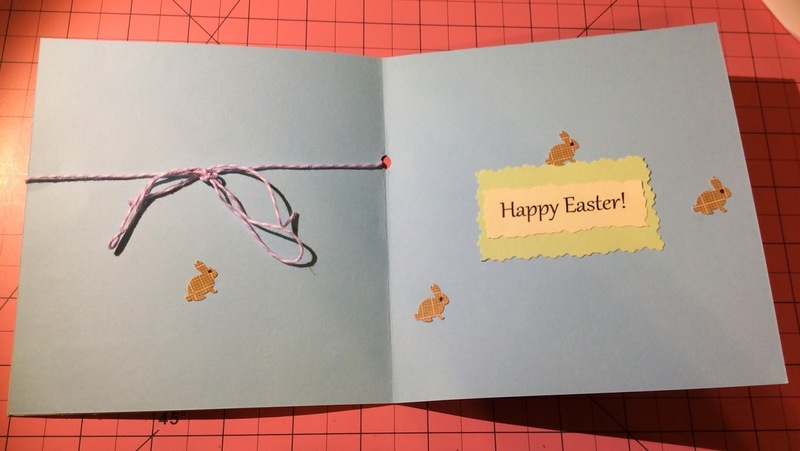 The egg-on-a-string idea is very clever. I really like the teal pattern on those "petals." That bunny punch is great. I have to fight the urge to just fill my apartment with tiny paper bunnies. 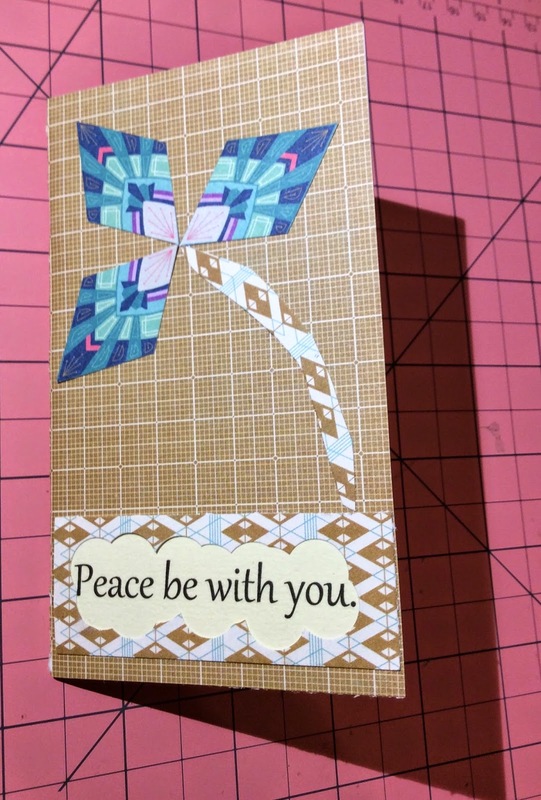 I absolutely adore that paper pad just for that teal pattern. 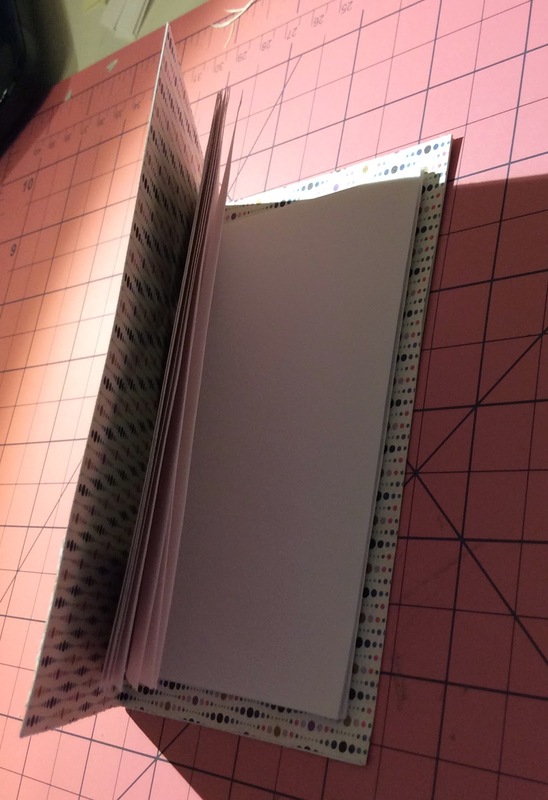 I think since I've started paper crafting, it is my favorite pattern paper of all.